Looking for the best Truck Wreckers Gosford – We have the right solutions for you. Are you frustrated from your old, useless commercial vehicles and want to get it removed ASAP? Do you think of getting rid of your damaged car and meanwhile, make some good cash? Do you think of searching the best truck wreckers in the entire Perth? If the answer to all these questions is yes then you are at Truck Wreckers Gosford. TOPCASHFORTRUCK‘s highly experienced truck wreckers offer the top cash price for your trucks, overlooking the condition of your heavy vehicle. Whether it is running or not, we offer free and quick truck removal so that you could make quick cash from your damaged truck vehicle. To get your quote, call us on 0401 009 994 and discuss the whole price details with our coordinator for free. You could also fill out the form; we will contact you right away. You may also get truck price quote via email info@topcashfortruck.au.com or completing our online quick price quote form on right side of page. Don’t sell your truck cheap or less than its actual worth. Get top and right price for it. We buy trucks from all NSW with their actual market price and we pay instant cash up to $19,999 for all trucks with our free of cost removal and paper work service. We do it free for you. Why Truck Wreckers Gosford – cash for trucks ? You can sell your dead or alive truck for cash. Our NSW truck wrecking team provides removal in the entire Sydney and many other towns of NSW including Gosford. Here is the list of our regular areas, we provide quick service in all of these areas. However, again don’t worry if your region is not in the list, just call us and we will be there to assist you and get you best wrecking service in your area. truck wreckers Sydney, Truck wreckers Perth, Truck wreckers Brisbane. What Are The Benefits Of Choosing Top Cash for Truck? Saves a lot of time and money: Unlike many other kinds of rubbish, it’s not easy to dispose of large vehicles like trucks easily. However a professional company specially qualified in this industry can do this with relative ease. This saves you time and money. Even if you don’t want to sell or get rid of your car, going to professionals like All Commercial wreckers can be beneficial as you can Replace Old Truck Parts for a fraction of a cost compared to getting them from new dealerships. Aiding the environment: It is important to get rid of toxic waste in a responsible manner so the environment is not affected adversely. So experienced auto wrecking experts do this properly and in such a way that dangerous liquids or gases are not released into the environment. If released these toxic chemicals can cause serious health problems to the general public. This entry was posted in scrap trucks NSW and tagged cash for trucks, commercial trucks scrap, Daf Truck Wreckers, ford truck wreckers, Freightliner Truck Wreckers, Gosford, Hino truck wreckers, isuzu Truck Wreckers, Man Truck Wreckers, Mazda truck wreckers, Mercedes Benz Truck Wreckers, Mitsubishi Truck Wreckers, nissan truck wreckers, scrap truck, Scrap Truck Buyers, scrap truck dealer, toyota truck wreckers, Toyota Truck Wreckers Gosford, Truck dismantlers Gosford, truck salvage, truck wreckers, Truck Wreckers Gosford, volvo truck wreckers on September 15, 2017 by Topcash. Top cash for truck pay best dollar for late-model heavy-duty trucks and offer the best possible market price. And we make selling your truck easy. Just fill out the online form to get started. Once we agree on a price, and verify the title – we’ll send you the money! Truck Wreckers Hurstville buy used trucks, roll-offs, front loaders, rear loaders, grapple trucks, side loaders, recycling trucks, and trailers. We are also interested in concrete trucks, cement mixer trucks, ready mix trucks, vacuum sewer trucks, service and mechanic’s trucks, boom trucks, all-wheel drive vehicles and more. We’ll pay a “finders fee” for any lead that results in the purchase of a used truck. Sydney truck wreckers will pay you for your lead or referral to any southern Sydney suburb such Hurstville, or private companies that want to sell their used trucks. Truck Wreckers Hurstville is NSW front range area’s number one truck buying service. We offer a convenient, professional, hassle-free service to buy your NEW or OLD truck. Top cash for truck provides the easiest and fastest way to sell your 4×4, truck, van, or SUV. Our Truck Wreckers Hurstville buys all types of trucks, no matter what make or model. We frequently buy 4x4s and trucks from the list of above. If you want to sell a truck that isn’t on the list, we’ll still buy it. Top cash for truck is among’s best Truck Removal companies in Australia as we provide top dollar for your unwanted truck. Our cash for trucks offers reach up to $19000 in cash on all types of trucks of any age and condition. 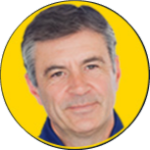 We have a reputation of honesty and reliability and are one of the biggest buyers of wrecked, damaged, accident, broken, old, scrap and used trucks across New South Wales. Our truck removals are hassle free and can be scheduled at any time of the day or night. Find your local truck dismantler: truck wreckers Paramatta, truck wreckers Wollongong, truck wreckers Penrith, truck wreckers Campbelltown, truck wreckers Canberra, truck wreckers Newcastle., truck wreckers Perth, truck wreckers Melbourne. This entry was posted in Fleet and tagged cash for trucks, CRANES truck wreckers, Daihatsu Truck Wreckers, Fuso truck wreckers, HIABS truck wreckers, Hino truck wreckers, isuzu Truck Wreckers, KENWORTH truck wreckers, Mazda truck wreckers, nissan truck wreckers, old trucks for sale, scrap commercial truck dealer, scrap truck price, TAILGATE LOADER truck wreckers, truck parts yard, truck salvage, truck spares, truck wreckers, Truck Wreckers Hurstville on July 10, 2017 by Topcash. By scrapping your commercial truck in the correct way you will not only be helping the environment, you will also be cutting your own personal carbon footprint too. All parts of the vehicle including tyres, battery, oils and other fuels will be disposed of with the environment in mind and under current Australian laws. Scrap Truck for Sale is valuable and when dismantled correctly offer excellent recycling materials such as steel, copper, gold and much more. Recycled vehicles are the life blood of the recycled metals industry and without such there would be a shortage of raw materials for industry both at home and abroad. Nowadays even scrap tyres can be recycled, these are used for things such as children playgrounds and even as chippings for ground cover. Why Scrap Truck for Sale? It’s easy, it’s fast and without hassle to scrap your commercial vehicle with Sydney truck wreckers. Just complete the form right, press send and we will call you back to arrange a convenient time to collect your fleet truck. We do not keep your data or pass it on to a third party. Please note that we will offer you a fair price for your scrap truck and we will give you the best price available on the day of collection, do not be conned in to believing that your scrap truck has no value. Steel is in great demand and when recycled the steel far outweighs the cost of collecting your vehicle, recycling it correctly within the NSW directives. We always make sure that RMS are informed that your vehicle has been scrapped removing any liability from you, you will not need a argument on the vehicle if it is not taxed. 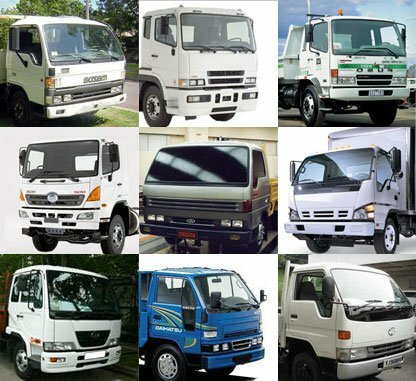 useful links: Hino truck wreckers, Fuso truck wreckers, UD – Nissan Diesel truck wreckers, Isuzu truck wreckers, Mazda truck wreckers, Daihatsu truck wreckers, 4×4 wreckers. This entry was posted in Fleet and tagged Box Vans, cash for scrap trucks sydney, cash for trucks sydney, Dropside Tippers, Hookloader, junk Truck for Sale, old Truck for Sale, Scrap 4x4 Truck for Sale, Scrap Fleet Truck for Sale, Scrap Hino Truck for Sale, Scrap Isuzu Truck for Sale, Scrap Mitsubishi Truck for Sale, Scrap Truck Buyers Sydney, scrap truck dealers, scrap truck for sale, scrap truck online valuation, scrap truck value, Tankers, truck scrappers, truck wreckers on May 1, 2017 by Topcash.